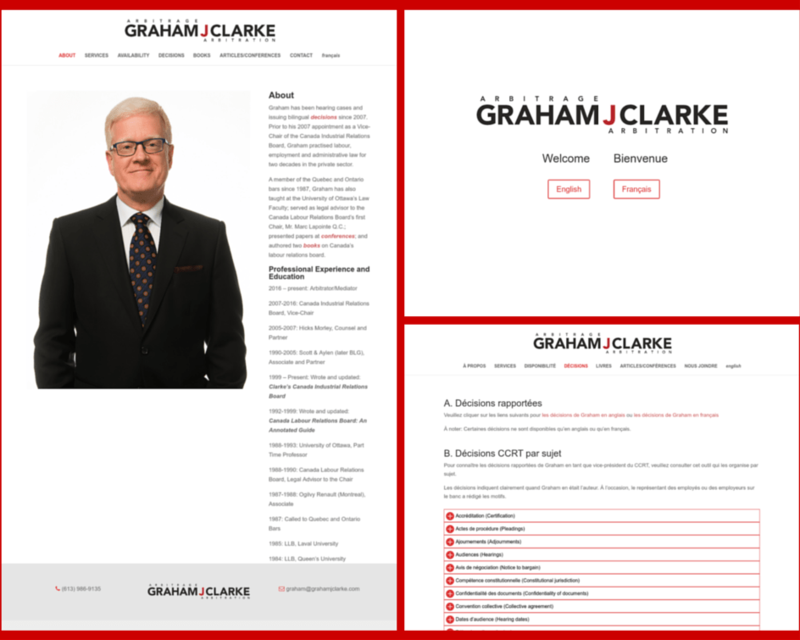 Graham J. Clarke – The Virtual Web Expert, Inc.
Graham J. Clarke is an Ottawa-based Arbitrator/Mediator. He has been hearing cases and issuing bilingual decisions since 2007. Prior to his 2007 appointment as a Vice-Chair of the Canada Industrial Relations Board, Graham practised labour, employment and administrative law for two decades in the private sector.